Reducing your thermostat by a degree or two (C°) is an easy way to lower your energy bill. You can also turn the temperature down more significantly while at work, or out for the evening. Be sure to stock up on slippers, blankets and comfy sweatshirts, so you can stay warm while enjoying your energy savings. Laptops, phone chargers, Bluetooth speakers – today’s modern home is full of devices that are more often than not, left plugged in. Doing a quick scan of your house for unnecessary energy-suckers before work or bed can help reduce your electricity use. Air conditioning is designed to keep your house cool, not the entire neighbourhood. If you’re running the AC with windows or doors open, you might as well be throwing money out the window. Keep your precious cool-air in. When is the last time you changed your furnace filter? Waiting too long to change your filter makes your system work harder, which costs more in energy use. By switching to a permanent filter, you’ll save money in the long run. You will also save the cost of having to buy reusable filters every few months. 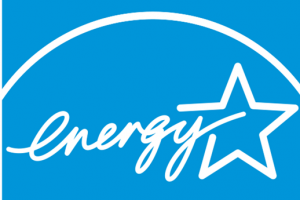 Upgrading your old appliances to newer ENERGY STAR® certified models isn’t cheap. Luckily, many provincial governments offer financial incentives and tax rebates for taking this initiative. Plus, you’ll save money in the long term as your utility bill decreases, while giving your property value a boost. Learn more about government energy incentives at Natural Resources Canada’s website. It may be tempting to buy the cheapest light bulbs at the hardware store, but if you splurge for ENERGY STAR certified lights, you’ll end up having to pay less in electricity costs. Having dimmer-style light fixtures installed is also an excellent way to preserve power, allowing you to dial-in just what you need. Did you know that the vents in your home can either be open or closed? If they are shut, it’s going to be harder for air and heat to circulate throughout your home. Though there is a myth that closing vents can reduce energy consumption, it is just that – a myth. Keeping your vents open and clean will yield energy savings. Your puppy needs to get in and out of the house, but sometimes doggy doors aren’t as airtight as they should be. This can result in cool or heated air escaping the home too frequently. When installing a pet flap, look for a model with sealing properties to keep air in. If you have an existing pet flap, be sure to keep it well caulked. There are humid and hot days where air conditioning is a life-saver. However, on a normal summer day you might be able to get by with a fan, or sitting in a cool basement, or by simply opening your windows. Before defaulting to the AC, put some thought into whether you really need it or not. Upgrade your windows! ENERGY STAR approved windows with low-emissive coating can greatly reduce your heating and cooling costs. Not only do they increase the performance of your home, but they can also be customized to harness outdoor elements where needed. A full window replacement will increase the value of your home. Depending on the decorative options you choose, it can also create a massive curb-appeal boost. What’s more, if you live in an extreme or varied climate, new windows can create long-term energy savings. 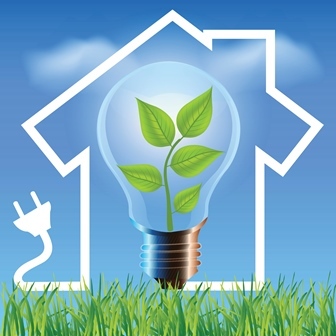 Talk to your local JELD-WEN dealer about increasing your home’s energy efficiency.